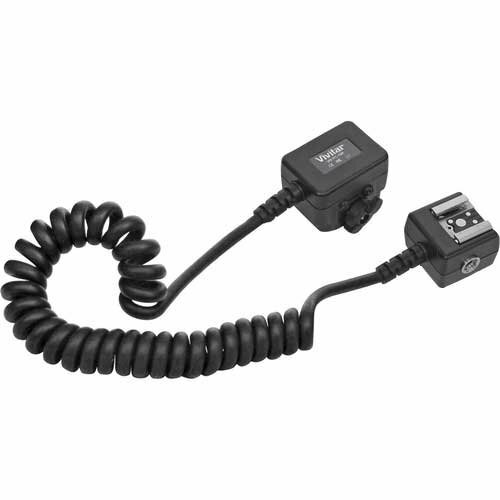 VIV-FC-CAN Digital Off-Shoe Flash Cord is for all dedicated flash units for Canon cameras. One end of the cord plugs into the hotshoe of the camera, and the other has a hotshoe connection for the flash. This allows the flash to be removed from the camera’s hot shoe for creative lighting, but the flash still communicates with the camera.